Instead of my preffered pumpkin pie, I decided to make something that we could all enjoy since my husband doesn’t like pumpkin anything. This reminds me of when we were dating and we would often go to Marie Callender’s to have their Dutch apple pie. Verdict: Yum! 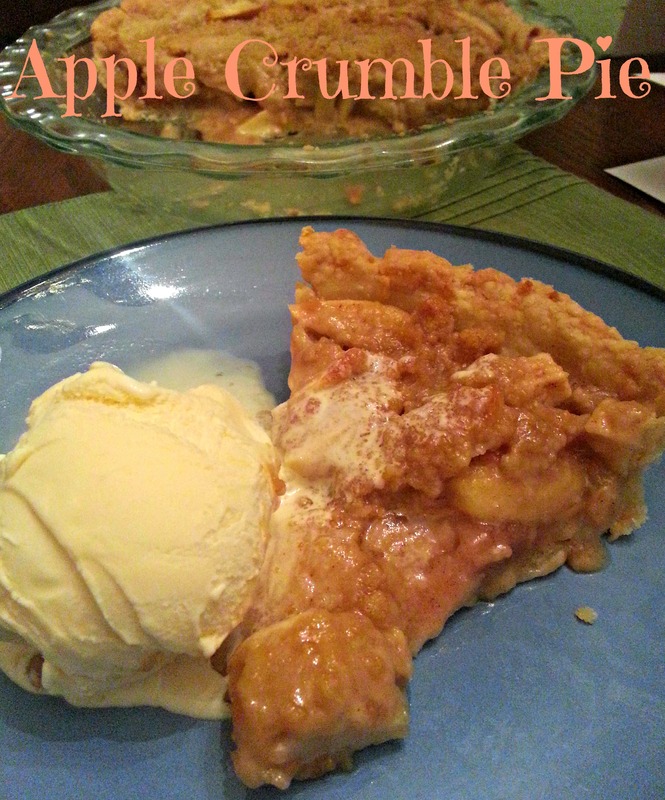 I used Fuji and Gala apples for this and the crust recipe below was flaky, buttery and crisp where it needed to be. I have another disk of pie dough in my fridge that I can’t wait to use for more of this pie. 🙂 Follow the link for a video tutorial if you’re a visual learner like me – I rarely read through directions cause I’m lazy like that 😉 Thanks for reading, enjoy! In a large bowl, toss peeled and sliced apples with lemon juice. Mix together white sugar, cornstarch, 3 tablespoons flour, cinnamon, and nutmeg. Sprinkle over apples and toss to coat. 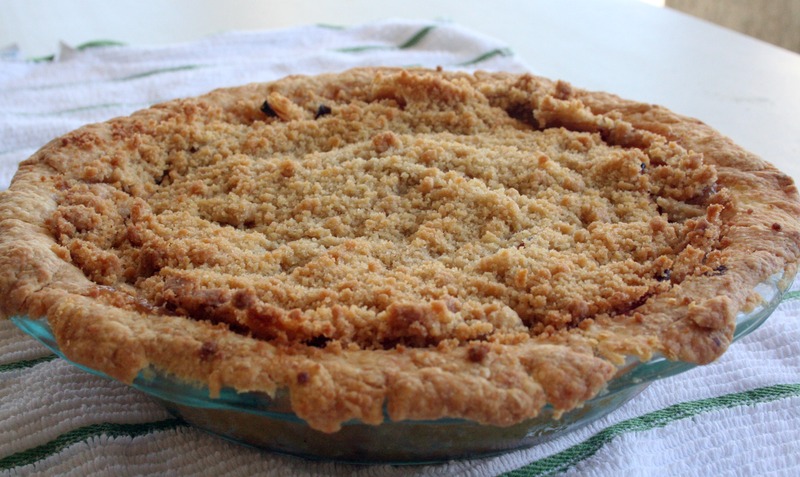 Spread apple mixture evenly in unbaked pie shell. Using a pastry cutter (or your hands), mix together 1/2 cup flour, brown sugar and the butter until evenly distributed and crumbly in texture. Sprinkle over apples. Bake for about 1 hour, until apples are tender and topping is golden brown. 1. Add 1 1/2 cups flour, salt and sugar (optional) to a food processor. Pulse 2 to 3 times until combined. 2. 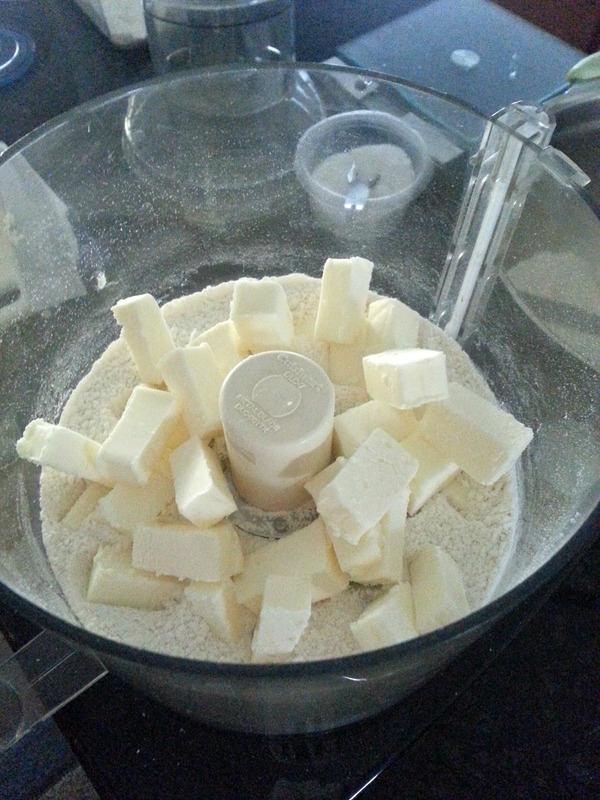 Scatter butter cubes over flour and process until a dough or paste begins to form, about 15 seconds. (There should be no uncoated flour). 3. Scrape bowl, redistribute the flour-butter mixture then add remaining 1 cup of flour. Pulse 4 to 5 times until flour is evenly distributed. (Dough should look broken up and a little crumbly). 4. Transfer to a medium bowl then sprinkle 6 tablespoons of ice water over mixture. Using a rubber spatula, press the dough into itself. The crumbs should begin to form larger clusters. If you pinch some of the dough and it holds together, it’s ready. 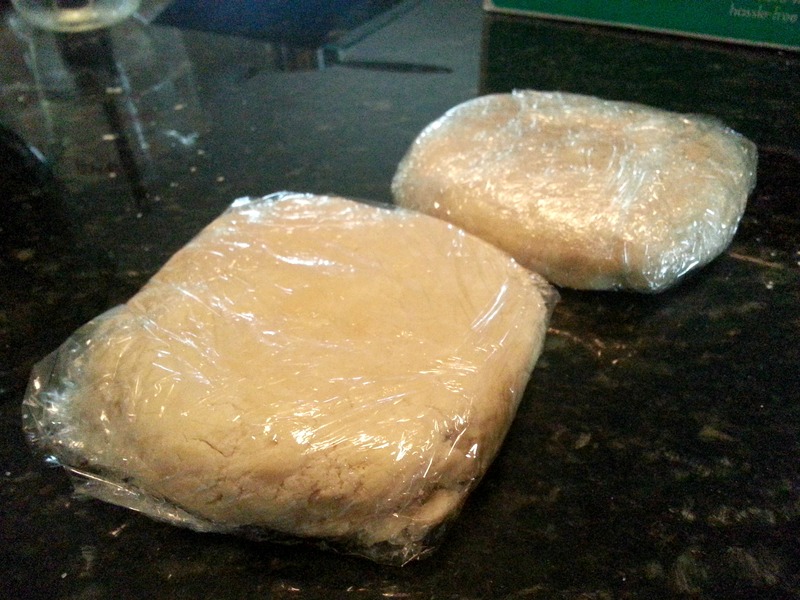 If the dough falls apart, add 1 to 2 tablespoons of extra water and continue to press until dough comes together. 5. 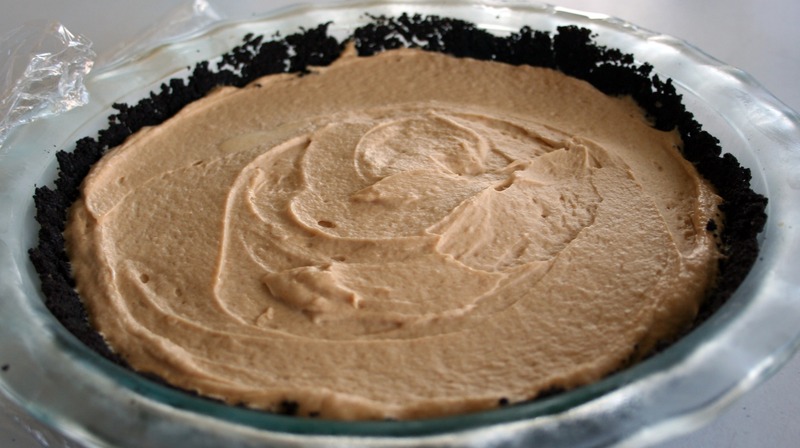 Remove dough from bowl and place in a mound on a clean surface. Work the dough just enough to form a ball. Cut ball in half then form each half into discs. Wrap each disc with plastic wrap and refrigerate at least 1 hour, and up to 2 days. You can also freeze it for up to 3 months (just thaw it overnight in the fridge before using). 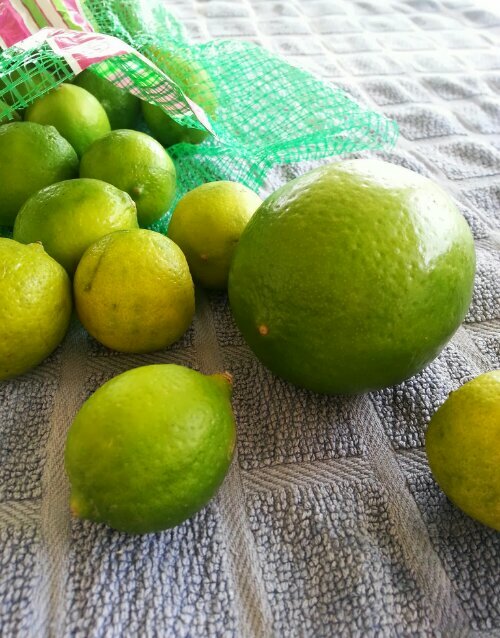 He is seriously spoiled…I don’t even like key lime pie, but he has been asking for it recently; and lucky for him I stumbled upon two pound bags of these cuties at my fave store. 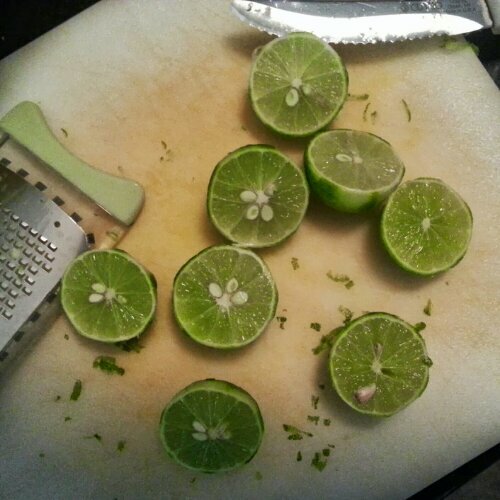 Just when I thought they couldn’t possibly be any cuter, I cut them in half to juice them – I was wrong! But those fuzzy feelings quickly disappeared when I proceeded to squeeze 1 3/4 pounds of these to produce the required 3/4 cup…owee. 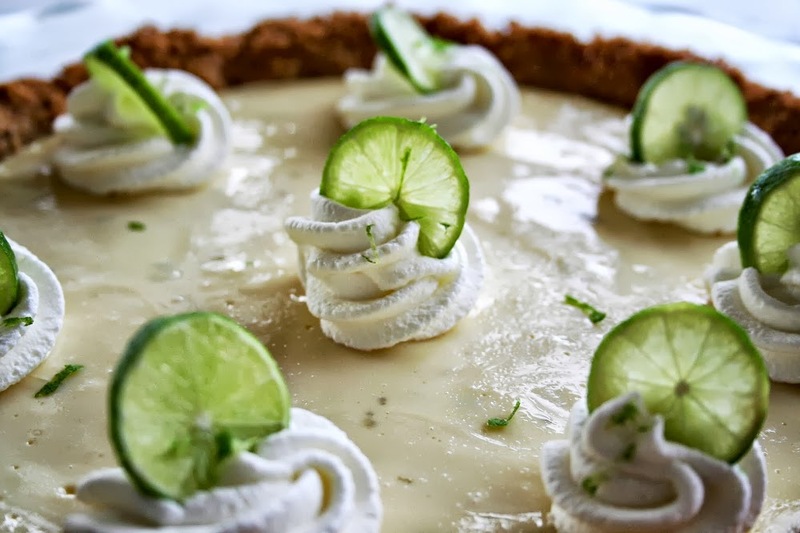 Other than squeezing all those limes, this is a super easy pie to make. Verdict: This pie is smooth, creamy and the most tart dessert I have ever had. I loved decorating the pie the whipped cream rosettes, key lime slices and zest. 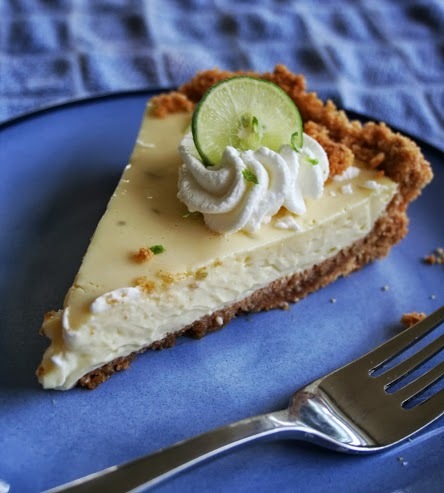 I don’t usually break out the piping bag, but any proper key lime pie seems to have them so I went with it. 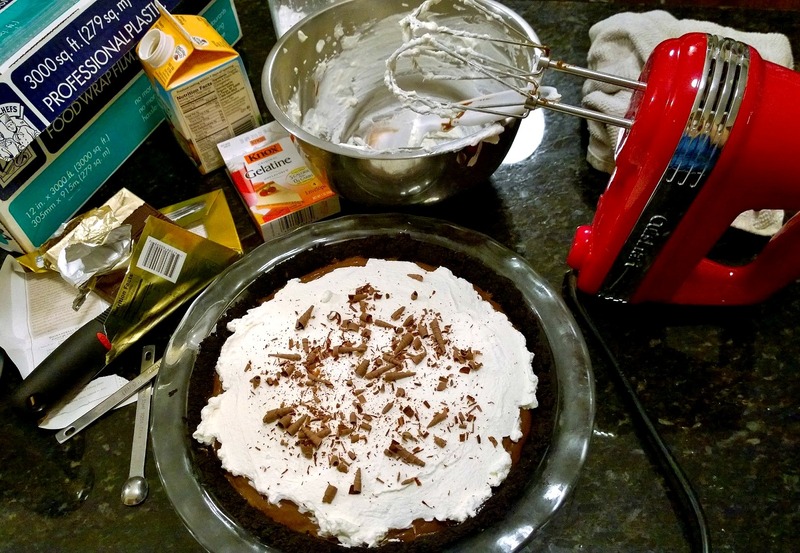 Brush the graham cracker pie crust with the lightly beaten egg white, then bake for 5 minutes. Remove from the oven and set aside. 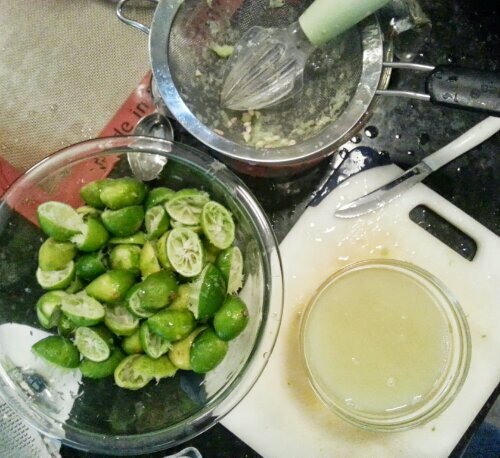 Meanwhile combine the egg yolks, key lime juice, lime peel, sweetened condensed milk, and sour cream in a medium bowl. Whisk until smooth. Pour into the prepared crust. Bake for 15 minutes, then remove from oven and let cool to room temp. Chill in fridge for at least three hours, then serve with whipped cream if desired. 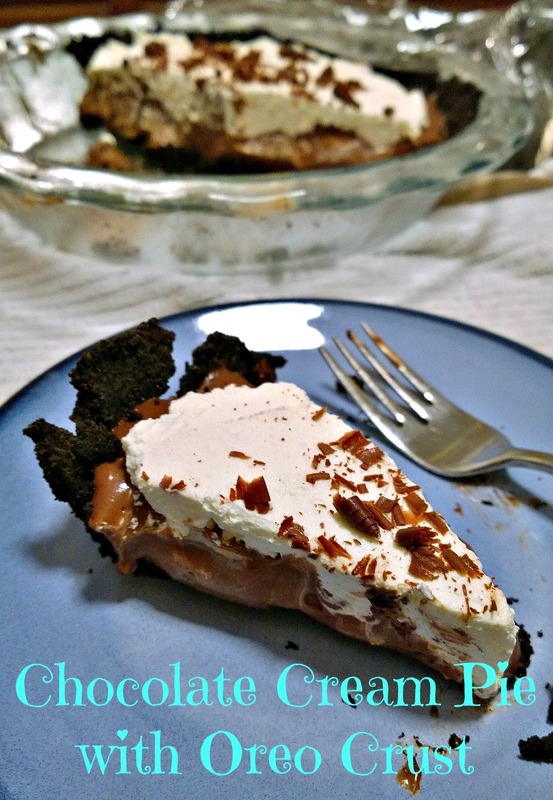 Quick Post: This is a combination of the two peanut butter pie recipes I’ve tried before. Those who tried it really enjoyed it – I only had a tiny “quality control” taste. M and I agreed that it was a little salty, (I left it out of the recipe for you) so I wont add any extra salt next time. 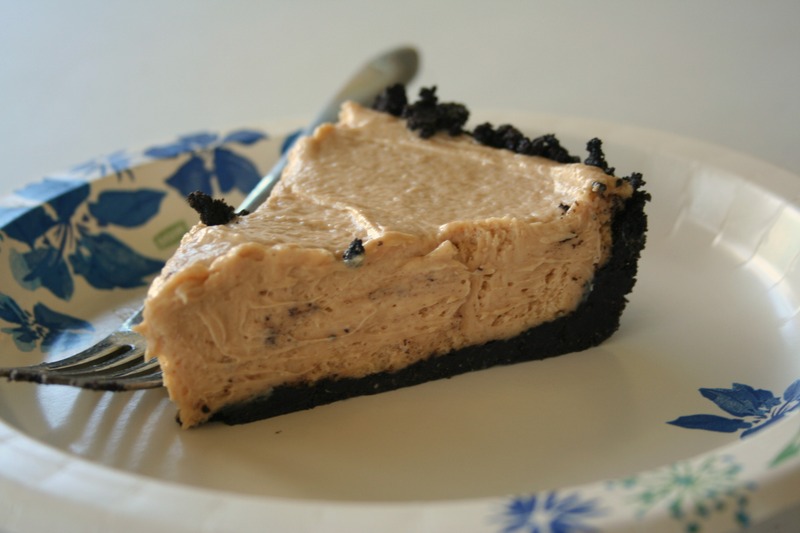 Despite the slight saltiness it is light, creamy, peanut buttery and the crust is always a hit. Thanks for reading, enjoy! To make the crust: Preheat oven to 350 F. Combine the cookie crumbs, brown sugar and salt in a medium bowl. Add the butter and toss with a fork until all of the crumbs are moistened (the mixture will be quite wet). Press into the bottom and up the sides of a 9-inch pie plate. Refrigerate for about 15 minutes so the crust is firm, then bake until set, about 8-10 minutes. Transfer to a wire rack to cool completely.